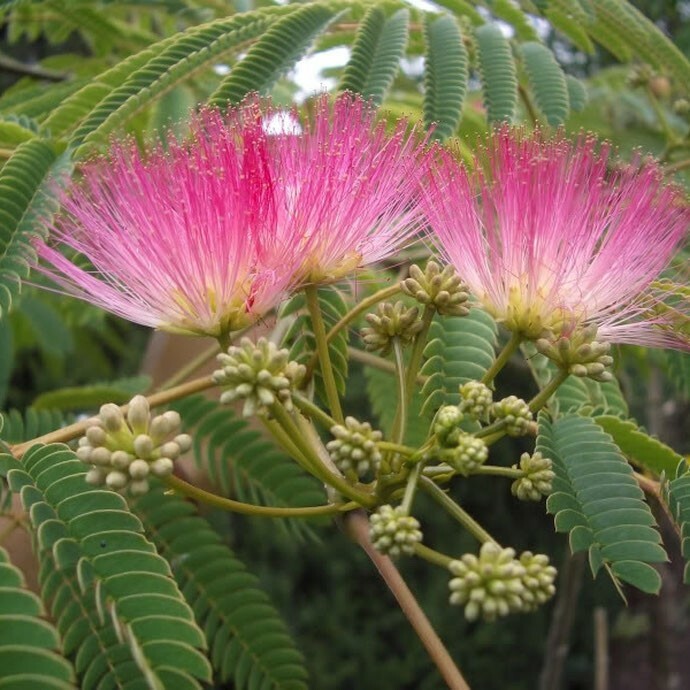 An amazingly hardy shrub or small tree, doing best in sheltered gardens in the south. 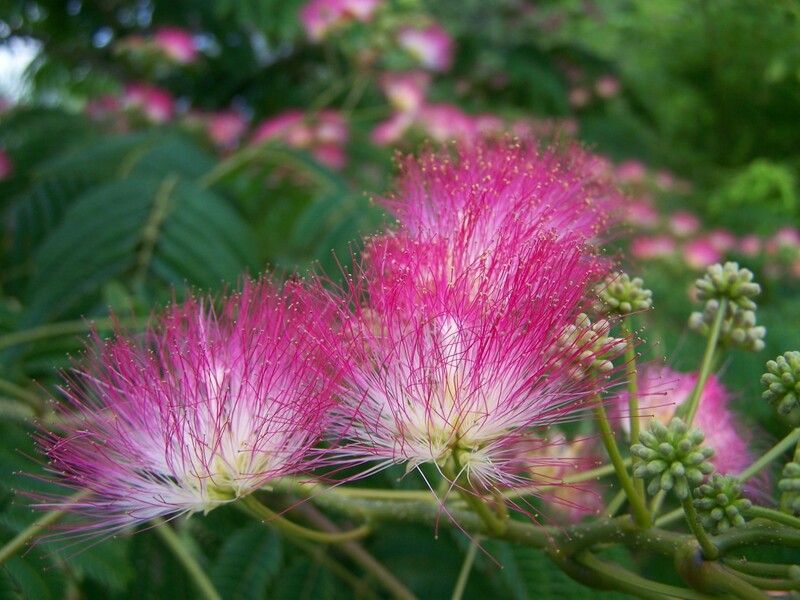 Also known as the Silk Tree it displays beautiful feathery pink clouds of flowers in late summer on arching branches of fern-like, soft downy foliage. Supplied in approx 3-5 litre containers.